I might have just invented that phrase. But still, that’s my problem, chasing improvements in functional threshold power. Makes for great pub bragging rights (or a really dull conversation….) but it doesn’t translate well to circuit racing. I’ve raced a few rounds at Trinity Park and been dropped unceremoniously every time. I’ve had two problems, not enough short intervals being one, but also my back falling to bits over the rough surface. Its weird really, i’m on the limit (obviously) but its pain rather than the legs that is chucking me out the back. Gradually it gets harder and harder to jump out of the corners, then bang, gone (again). I thought it was my back but after a bit of digging I think it might be a combination of tight hamstrings as well as the weak back. and some core exercises courtesy of my buddy Davina (laugh all you want). I’d forgotten all about these until I read that my buddy Michelle, the running astronomer and now an internet celebrity (Linky) was having similar problems. The core session is only 15 minutes long so I’m going to try and fit that in a couple of times a week. Lets see how that works out! Langham 10 – 1 July I fancied a break from the weekly Trinity Park kicking and I’d penciled the Langham 10 as a suitable distraction. A 10 is also a great way of incorporating a threshold test into an event as you always go harder with a number on. It was a bit toasty to say the least, a TT on the hottest day of the year so far certainly helped to burn off a few cakes. I want to break 300 watts (no specific reason, just an arbitrary target) over ten miles and i’m getting closer. 284 watts this time out versus 281 last time. I think there is a little more to come with pacing. Heart rate is pretty good, a nice gentle slope to blurry vision and the need to vomit, but power is a little shaky. It will always move around but I found I was lifting off too much when I lost concentration. For me at least its harder to keep it at full gas than it might seem. I’m chasing power rather than time as i’m at hefty disadvantage on a road bike without extensions, but I was pretty chuffed with a 25:41. Slowly slowly catchy monkey. Same old same old really. Except for added wet weather and the cornering ability of driving miss daisy. Still, I stuck it out to the end and raced for last place. I really hope the field has come on as I was doing the same thing last year. I’ve not managed many miles through June so for July i’m going to go back to basics and smash in some miles. I’m not going completely old school so I’ll keep working on the intervals too. I’ve got a few road races planned in August along with a few crits and time trials through July to keep my focused. I’ve found double days to be pretty useful for getting the training in. Generally I’ll do a gentle recovery ride in to work (about 25 miles) and then use the way home to up the intensity and chuck in various intervals, be it 10-20 minutes at threshold or a block of 20/40s. 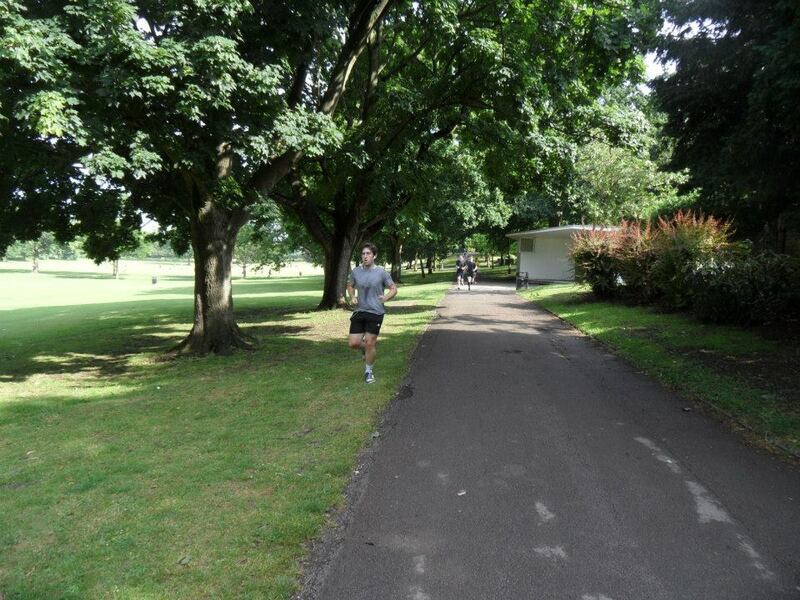 In my quest to maintain fitness whilst the real world got in the way of my training I gave park run a try. It’s a really cool concept as it has a competitive element (mostly against yourself) but is also totally inclusive for runners of all ages, abilities and sizes. 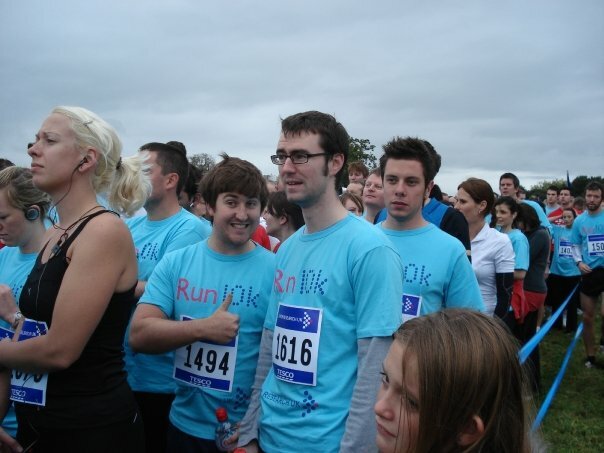 My running ability has always been woeful, I once ran a 10k, or rather walked a 10k, after Erin signed me up for a charity run (which reminds me, I didn’t ever get her back for that….). That should have been an eye opener really as to how unfit I was. Cue hilarious photo of fat Pete and some guys that look vaguely like my friends but aged about 5. I haven’t run for about 18 months but I figured my cardio was good enough to get me round. I was right! I ran 25:29 as a first attempt over 5k which isn’t too shabby. My legs however were not ready for this and I spent most of the three days after walking like John Wayne. Ouch. I’d like to give it another go but I’ll definitely be sticking to the bike. Drafting in a run isn’t very effective for a start. Although if I didn’t swim like a drowning cat a triathlon might be tempting. Hmmmm. This entry was posted in General, Musings and tagged FTP goggles, Langham 10, Trinity Park by shawpeterd. Bookmark the permalink.